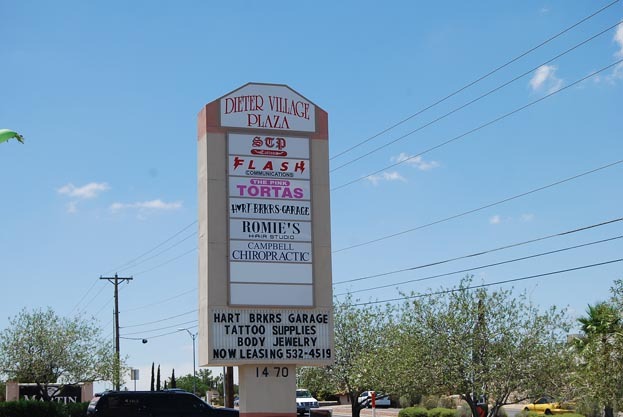 A magnificent 8,800 square foot strip shopping center in the very heart of El Paso's dynamic east side, Dieter Village Plaza at 1470 George Dieter was built in 1997. Nestled between a Big 8 Supermarket Supercenter and the new Physician's Hospital Medical complex just off of Pendale Road and Pellicano Drive, Dieter Village Plaza is situated perfectly for retail and office success. 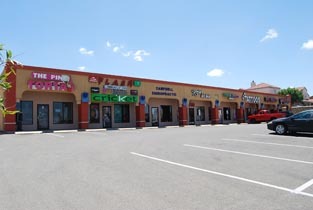 Ample parking, excellent access, complimentary landscaping, and designed tenant mix combine to make Dieter Village Plaza an outstanding location in east El Paso.